The Future of Marketing – how will it impact you? The Future of Marketing – where is it going and how will it impact you? In my role as the Chair of the Australian Marketing Institute and as the CEO of TrinityP3 Marketing Management Consultants, I was asked to participate in a webcast on “The future of marketing” hosted by Redback Conferencing, the webinar providers for the Australian Marketing Institute. 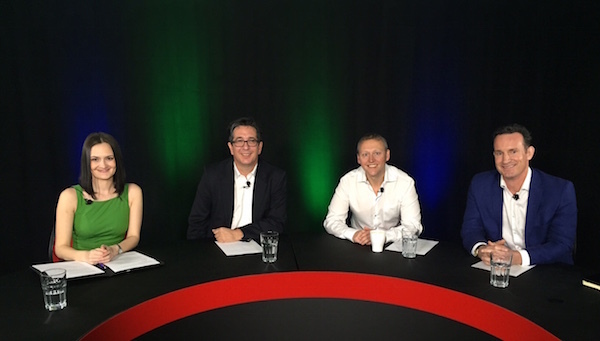 The panel, hosted by Redback Conferencing’s Marketing Manager, Sara Gonzalez also included myself and the Managing Director of Marketo Australia, Aden Forrest and Director of Global Content Marketing & Strategy at Kelly Services, Michael Kirsten. In a broad ranging conversation between three marketing thought leaders, the webcast covers everything from marketing structures to the role of data and technology in informing strategy and performance. The important role of the CEO in defining and communicating the brand to customers with a human face. You can watch the webcast here. The marketer will own the customer relationship by managing the end to end management of the customer journey. The marketer will lead change management within the organisation and ultimately replace the CFO as having the ear of the CEO. Marketers will own all aspects of the customer communications with management of integrated marketing communication on a customised individual and mass communication level. Hope you enjoy the webcast as much as I had participating in it. Thank you again to Redback Conferencing for hosting the webcast. 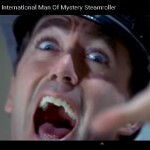 When should a CEO throw their CMO under the technology steamroller?